Spring marks the beginning of a warmer, brighter season in tropical Florida. It's the time of year we find ourselves admiring the fresh blooms in the garden, walking our dogs at the park and raising our chins to bask in the dazzling sunshine. Properly fit sunglasses are an absolute must, especially if you consider yourself a 'light-sensitive' Floridian. Lucky for us, Johnson and Johnson just released their long-awaited relief in the form of soft contact lenses that automatically transition to help protect our delicate eyes! ...That's right, folks! Acuvue Oasys with Transitions has arrived! This lens is a 'first-of-its-kind' contact lens for new and existing soft contact lens wearers who are sensitive to light1. If you find yourself shading your eyes from lights, squinting to avoid brightness or turning down computer screen brightness, you are experiencing symptoms of light sensitivity, otherwise known as photophobia. These new contact lenses seamlessly adapt to changing light, providing all-day, soothing vision2,3. By utilizing "Light Intelligent Technology", Acuvue Oasys with Transitions effortlessly balance the effects of both outdoor and indoor lighting. This technology blocks not only harmful UV rays, but also filters blue light from our smartphones and tablets4. As with the original Acuvue Oasys soft contacts, these exciting new lenses were approved by the FDA for 14 days of wear, with a nightly removal routine to maintain intended comfort and proper cleanliness. No matter the environment, patients will notice an increase in color contrast enhancement while wearing these lenses, as they are always 'on', always protecting. "Even in their clearest state, they are filtering light", states Johnson and Johnson. We are thrilled to announce we are currently fitting both new and existing contact lens wearers into Acuvue Oasys with Transitions lenses at all 4 office locations! Schedule an appointment today! 1. FDA press release: FDA clears first contact lens with light-adaptive technology https://www.fda.gov/newsevents/newsroom/pressannouncements/ucm604263.htm, (accessed Mar 30, 2019). 2. JJV Data on File 2018. 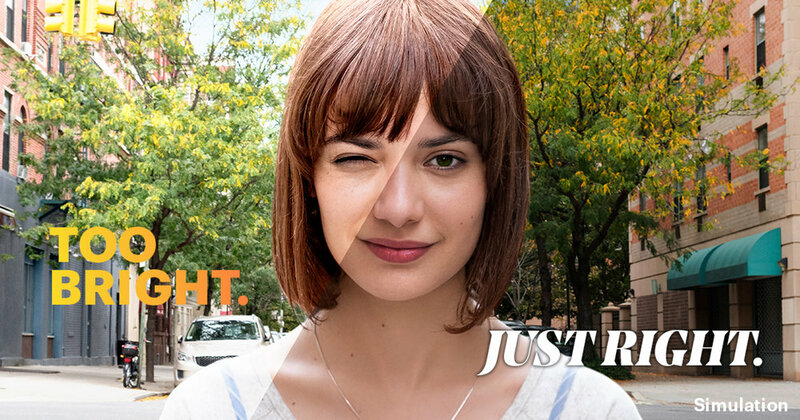 Definition of ACUVUE(r) OASYS with Transitions(tm) Light Intelligent Technology(tm). 3. JJV Data on File 2018. ACUVUE(r) OASYS with Transitions(tm) Light Intelligent Technology(tm) -Objective Clinical Claims. 4. JJV Data on File 2018. Material properties: ACUVUE OASYS(r) Brand Contact Lenses with HYDRACLEAR(r) Plus, ACUVUE(r) OASYS with Transitions(tm) Light Intelligent Technology, and other reusable contact lenses.